We did one day in Jaipur and next day in Agra + fatehpur Sikri. Followed by 1 day in Delhi. i will post a few pix separately. now that, is some useful information! Presumably public transport is sketchy in upscale areas - how are uber/ola services? Aashika, dont know how long since you been to India last. Get a simcard... the number of services that provide an OTP nowadays is enormous. Btw, April is kind of hot in North India.. so be careful. Agra has the fabulous Agra fort . It is too good . oh ya.. I forgot that. 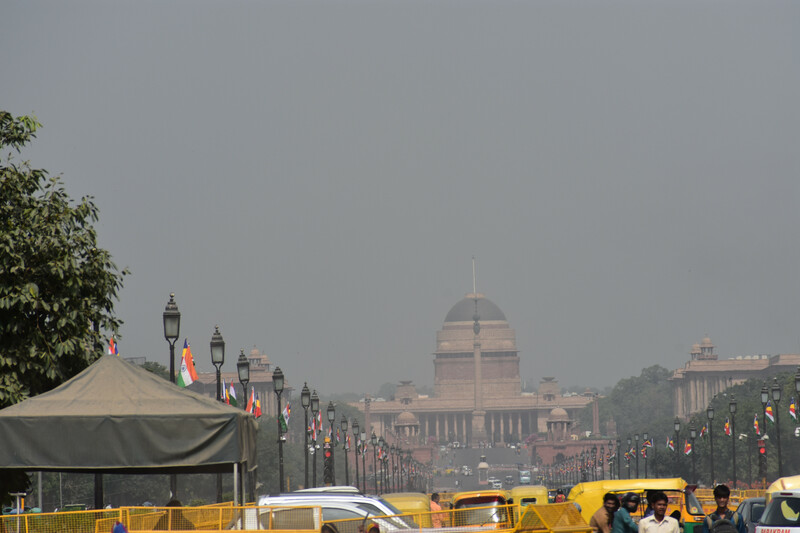 A week in Delhi! Why?? You could as well spend that time breathing from a car exhaust. If you have to be there for whatever reason, here's what I would recommend. * Go to the show in Gurgaon. There is a bollywood show, I forget the name, is pretty good. Alternatively, I would suggest spending more time in Simla and/or other hill stations closeby. Every metro is like that in India.. why blame Delhi alone? In India since the English media is based out of Delhi, they can't think or see 50 miles from their narrow sights. check this site.. https://aqicn.org/map/india/ .. Kolkata is worse than Delhi, Bangaluru, Hyderabad are not far off either. furthermore my suggestions would be Humayun's Tomb, Agrasen ki baoli, Lodhi Gardens, Lotus Temple .. You should also visit Dilli Haat (food and craft bazaar), Connaught Place (Janpath) for shopping (if you go there, try Nizam's Kathi Kababs) also Depauls @ Janpath and keventers for Milk Shake... Karim's in Old Delhi is a must visit food joint for Mughlai dishes (go to the one near Jama Masjid) … Also visit Pandara Road (lots of street food and restaurant options).. Food scene in Delhi is very vibrant.. Each popular joint boasts of a specialty dish. Most of the 5 star hotels have excellent restaurants like any other city in India (depending upon your choice of cuisine)..
Delhi in April will be hot.. I will back Ashdukhy pai here and recommend Akshardham temple. It is expansive and unique. Liked it better than Taj when I did both on the same trip. Taj is good too, not trashing it. But Akshardham temple in Delhi is beautiful. Only note that you cannot take any leather stuff inside... that is what I was told. Had to leave belt, wallet, shoes, etc back in the car. I would agree about Akshardham. It is definitely a work of art. I have no idea who Swami Narayan is, but he sure has a lot of wealthy and artistic devotees. Go to delhi to enjoy the desi food. Bukhara in Maurya is simply amazing!! I would rate it as one of the best restaurants in the world. Have the Sikandari Raan there. It is to die for. Karims is also good too. Delhiites rave about Connaught place, but it's crappy. They probably like it out of nostalgia. Gurgaon has some good restaurants. ^^ And give some time to Akshardham. Don't make it a rush job, visiting just the main temple. Give some relaxation time, walk around. There are some less crowded, beautiful areas of the temple... with some good art. And of course, eat some dosas and have coffee in the common grounds. Just laze around. Couple of hours and you will be completely satisfied and at ease. ^^^ And don't carry any guns or grenades into the temple. It may be common to carry those at Gurudwaras in Kanneda, but Akshardham has tight security. uber/ola cabs are everywhere ... Just like any big metropolitan city.